It’s an unofficial holiday at the FEED HQ. We made it to the last day of January. Whether that means you've stuck with ambitious New Year’s resolutions for 31 days straight, or just focused on staying warm (no small feat), it’s time to take a deep breath. 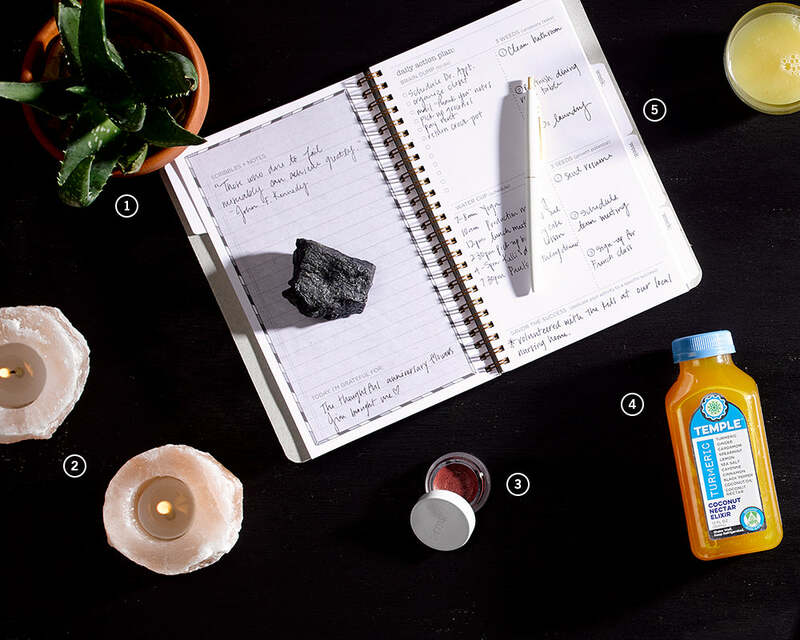 To help us do just that, while being kind to ourselves (and the world), we’ve pulled together eleven conscious ways to renew and recharge. So go ahead and take that personal day, and set your intentions for the next 11 months—it only gets better from here. We’ve heard that adding greenery to a space has the power to make people happy. Sign us up. We’re starting with the aloe plant because of its magical—err, medicinal—benefits. Aloe gel is packed full of natural vitamins and enzymes that sooth inflammation, detoxify and support the immune system. It doesn’t get more conscious than going straight to nature to find your beauty fix. No packaging or extra ingredients needed here. Handcrafted from natural Himalayan salt crystals, these tea light rocks are so much more than candle holders. Strike a match and the heated salt will naturally ionize the air, eliminating positive ions and reducing pollutants. We love the soft glow that these give off as well—immediate relaxation guaranteed. Planners feel a bit old school in the age of Google Calendar, but trust us on this one: this is not just a planner. The month-at-a-time method is designed to help very busy people be more intentional with their days, weeks and months, leaving room for gratitude along the way. We’re done allowing toxins into our bodies from skin care and make-up ridden with chemicals. This lip2cheek formula from RMS Beauty uses only nourishing organic ingredients that hydrate when applied to skin and lips. Needless to say, this lip-gloss-turned-blush is the latest addition to our Voyager Pouches. A few weeks after buying this charcoal toothbrush as a test run for this piece, we’re already done with drug-store-brand bristles forever. Here’s why: Not only does this toothbrush transform an otherwise plastic, neon instrument into an object of beautiful design that we are proud to display in our bathrooms, it is also made of biodegradable bamboo and charcoal-infused bristles that help fight bacteria between brushes. January magazine stands have a way of aggressively pushing us compare ourselves to others. 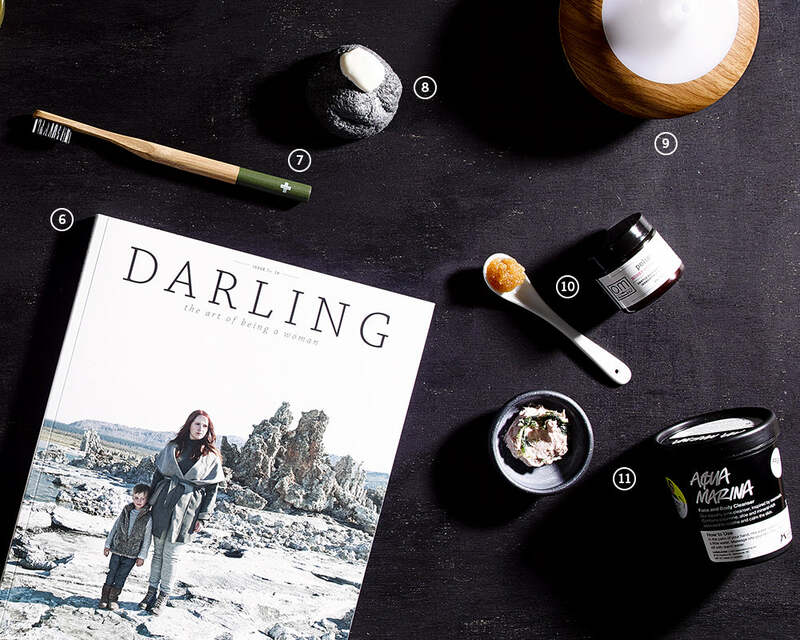 Darling has a strict no-photoshopping rule, but that’s not the only reason we love flipping through its matte-textured pages. The Winter 2016 issue is an especially beautiful way to renew and recharge. Flip through our office copy, and you’ll find many a folded corner, keeping place of pieces that portray real women’s inspiring journeys through a holistic lens. This unique cleanser from Lush, made with only fresh ingredients, brings out our inner mermaids. We love this brand for products that are are-natural while still making us feel pretty. Choose Aqua Marina for the benefits of mineral-rich Nori seaweed, cooling aloe vera, and a sprinkling of sea salt. Buy this deliciously rich sugar scrub once, and you’ll be adding it to your shopping cart on repeat. We’re just going to go ahead and quote the scrub label: "Organic sugar crystals bask in healing Manuka honey, organic ingredients, and an Italian Bergamot essential oil blend to gently exfoliate and create a thin veil of moisturizing protection for a silky sheen.” We don’t really know what Manuka honey is, but we know it works wonders. If you buy nothing else form this list, buy an oil infuser. We recommend this one for the ultra-fine water mist it soothingly releases to fill the air, blended with our favorite essential oils. You’ll be on your way to renewal in minutes.